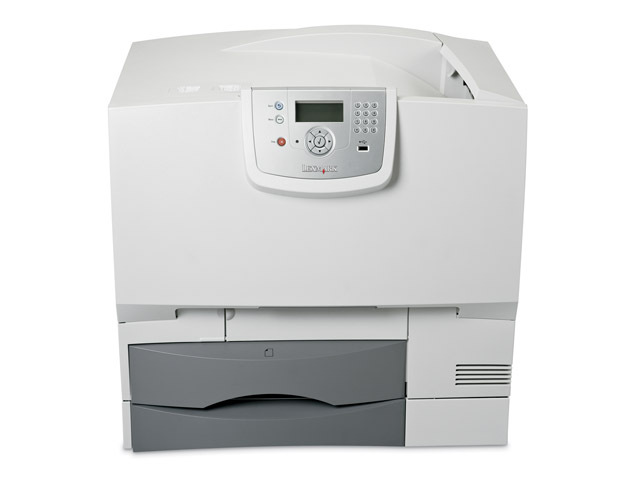 The network-ready Lexmark C780dtn with standard duplex prints up to 35 ppm (up to 33 A4) in 4800 Color Quality mode and provides true 1200 x 1200 dpi capability for high quality color printing. Robust and reliable, the Lexmark C780n and C782n come network-ready and integrate seamlessly into your existing network environment. In virtually no time at all you’ll be set up and running through your heaviest print jobs at record speeds! Besides their competitive time to first page, both printers are incredibly fast. In fact, the C782n can reach up to 40 ppm (38 ppm A4) in mono and 35 ppm (33 ppm A4) in colour. So you can reduce the paper wait and get your documents in your hands faster.